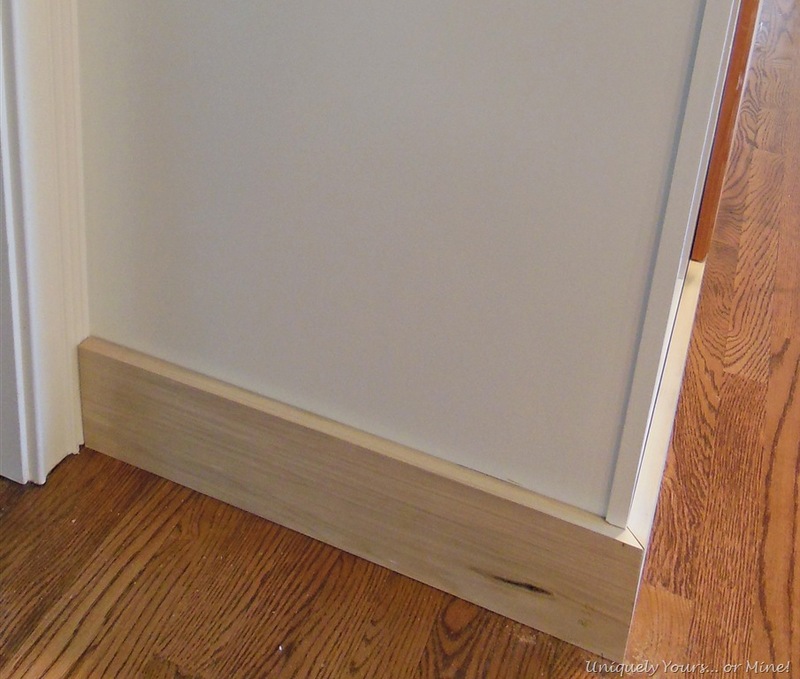 Adding feet and molding to cabinets – Uniquely Yours… or Mine! 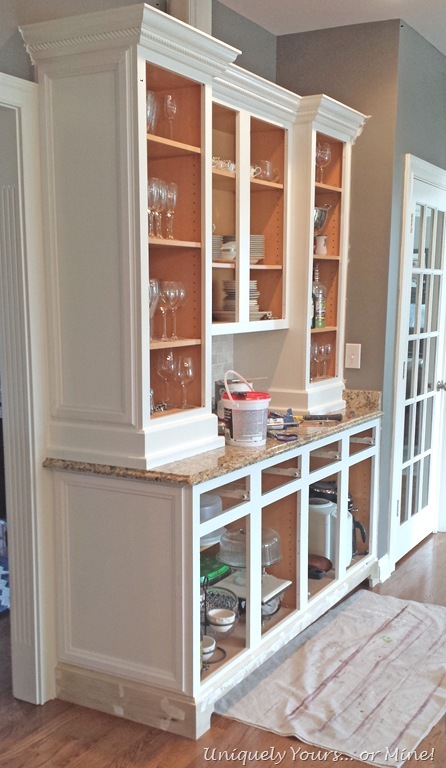 Adding feet and decorative molding to the butler’s pantry cabinets was a pretty straightforward and easy project. We started off with these cabinets. I removed the shoe molding from the kick plate and we dry fit a 4” piece of poplar wood which is very smooth and solid. We chose to use solid wood instead of MDF because we were routering the top and MDF doesn’t look as crisp/sharp as real wood does when routered in my opinion. 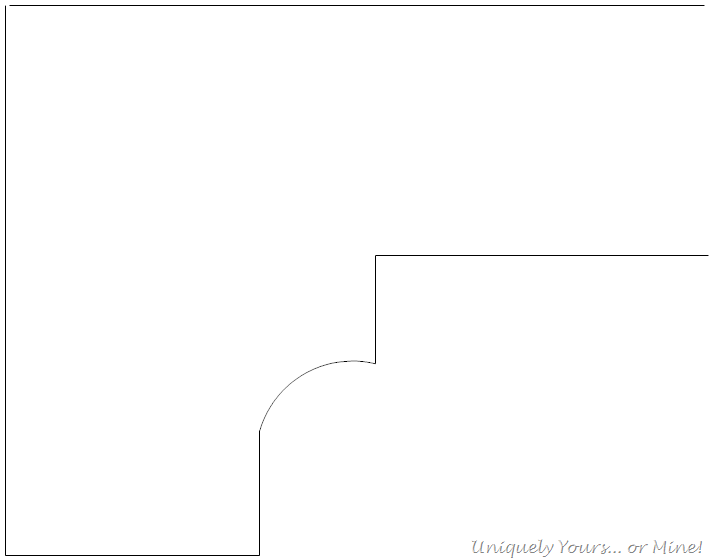 Using SmartDraw I designed the exact cutout I wanted for the feet. We did consider adding 4 feet (one for each set of cabinets) but in the end opted for just 2 which I am so glad we did! My Super Awesome Hubby used the jigsaw to cutout the design and the router to add a nice ogee edge to the top. Since the wood is placed against about 1.5” of cabinet face all I needed to do was nail it directly into the face, very sturdy and simple. I then filled in all of the nail holes and a long dent I didn’t see when we bought the piece, I use spackling for this process rather than wood filler as it is quick to dry and sands very easily. 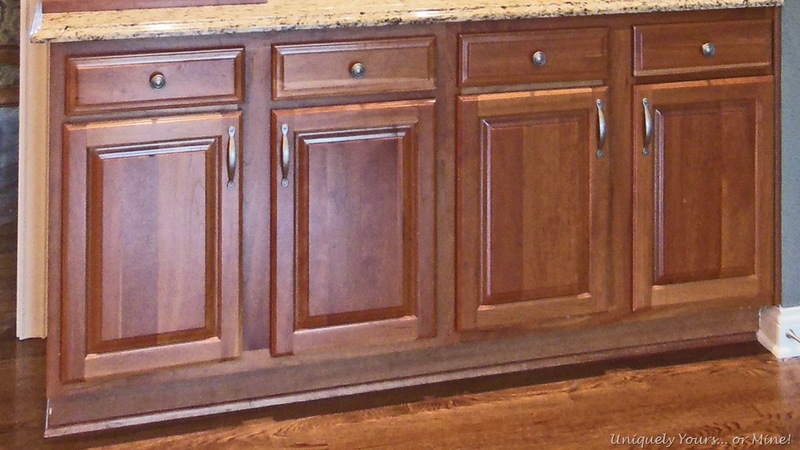 I also added a small chair rail backer piece of molding to the sides of both of the top and bottom cabinets. Just used some Loctite and 1.5” nails and it’s not going anywhere. Once everything is filled, sanded and caulked we can move on to priming and painting! I’m almost finished with the the door and drawer fronts, hope to share the finished product with you soon! The cabinets look awesome! Love the front ogee piece.Looks very professional. This is looking so great…can’t wait to see the all finished! Thanks so much Andi! I’m sooo close! 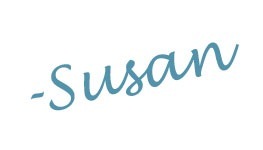 Pingback: Updated and painted butler’s pantry cabinets | Uniquely Yours... or Mine!